We’ve used several weather sites and apps over the years in helping us predict when we get to go fishing in our driveway. Yep, we’re well into the season of higher tides and southerly winds. “Yuletides” measuring close to 13 feet will be gracing our shores starting on Christmas while the dreaded King Tides (my definition is over 13 feet) start up later in January. A “barking dog report” means that we are very closely watching the sound and preparing to possibly flood. It may or may not happen (hopefully not!!). Consider us your neighbor’s barking dog who’s barking at potential trouble. 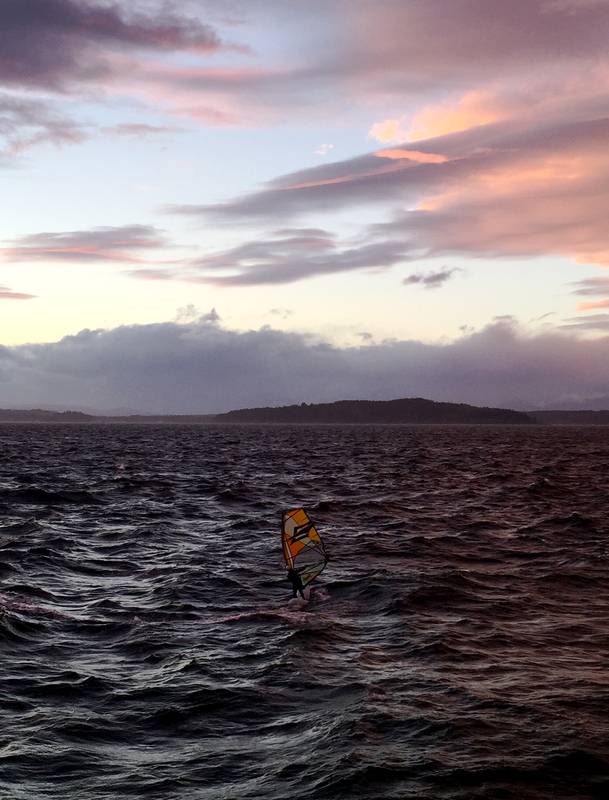 iWindsurf was recommended by a neighbor and is now my go-to app. 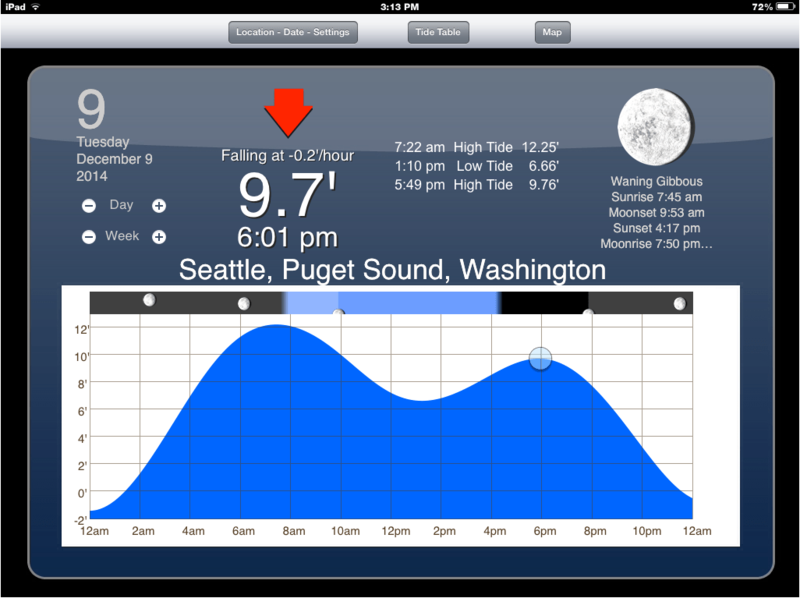 It accurately predicted our last couple of windy days off of Alki Pt. 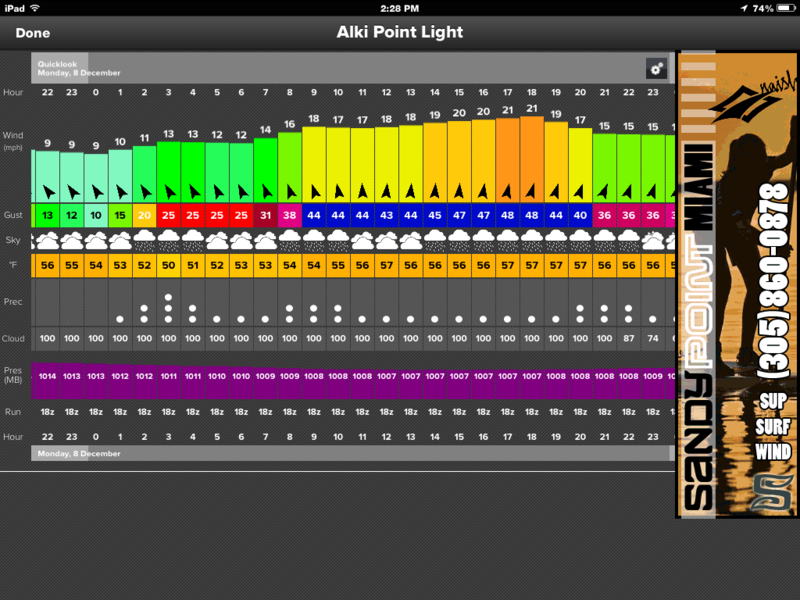 This snapshot of their Prediction Table is showing steady wind of 21 knots with peak gusts to 48 for tomorrow at 5:00 PM. Wave height is pretty much a factor of wind speed around here. The fetch or travel distances approx. the same from North to South. 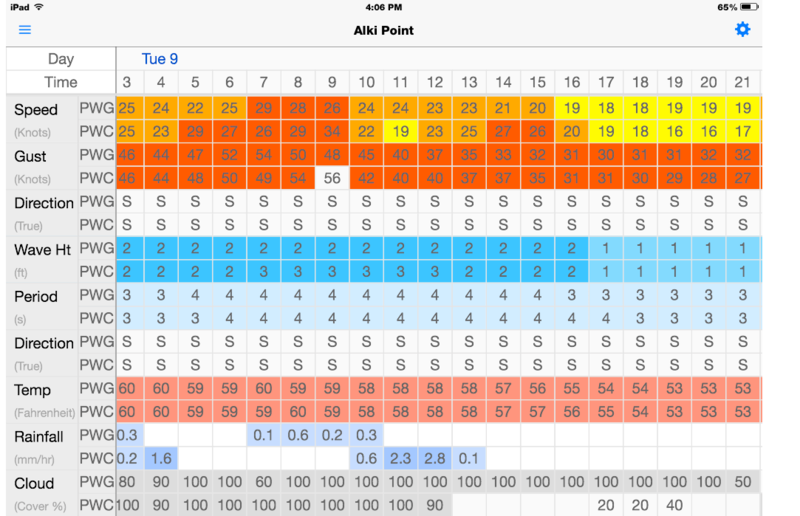 Beach Drive’s own Psycho of the Soup uses the IWindsurf app to map out wind speed forecasts for slaying the surf along the drive. Thanks for the new go-to weather app Jim! Most other free versions don’t let you see all the different variables on one screen… forecast tables, wind graphs, tide charts, marine forecast and recent history. Love it.